Great for wedding photo shoots, proms, masquerades and weddings. Made of lace, plastic and metal for holding. 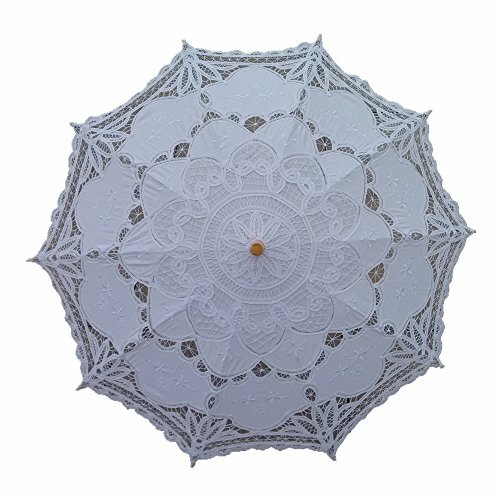 Colour: Ivory handmade size: 26" (66CM) long when closed and 30" (76CM) in diameter when open 100% cotton and the type of lace is known as Belgian , Battenburg or tape lace. wooden shaft and metal ribs. 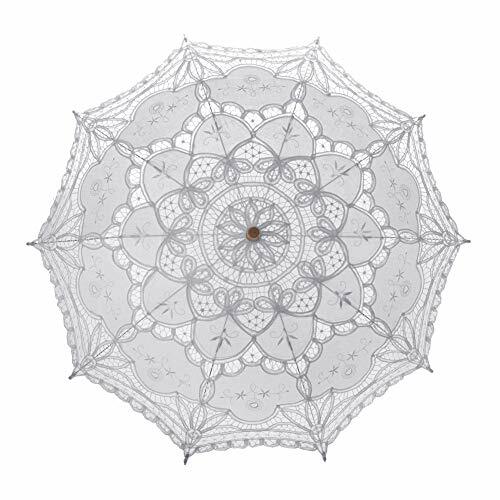 This handmade paper parasol is great for party decoration, dancing and wedding. Handmade color: plain white materials: bamboo, paper. Diameter: 32 inch. Length: 23-1/4 inch. 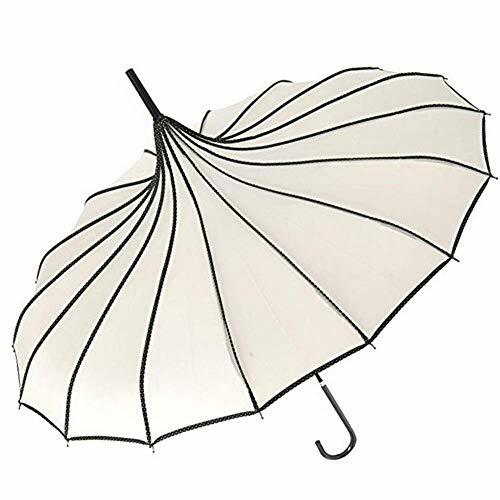 This lovely and fashionable Pagoda Umbrella is the epitome of sophistication. The umbrella's peaked pagoda shape and slim skeleton add an element of exotic elegance to your outfit. Rain or shine, pull out the umbrella to protect yourself from downpours and UV rays alike. The pagoda shape is not only pretty, but also functional, as it lends itself to support the umbrella together with the strong metal ribs and keep it sturdy against wind and rain. 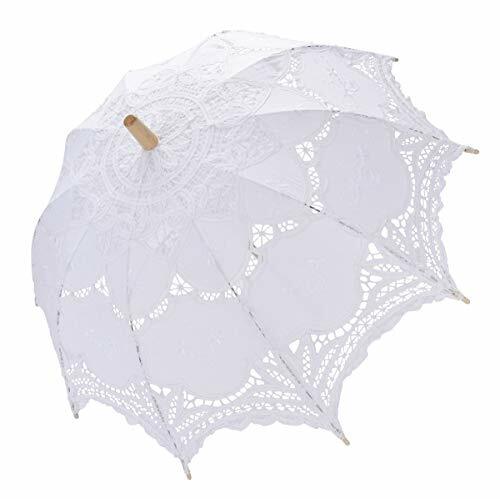 The parasol also features intricate detailing that runs along the umbrella's ribs, adding a dash of old world charm to this accessory. The long and slim handle is hooked, making it easy to hold upright and hang. 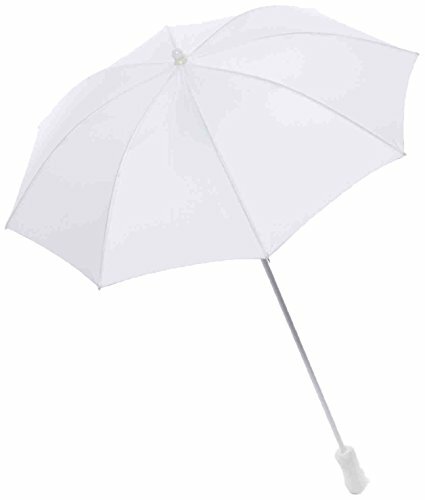 This fashionable bamboo handle umbrella combined with a golden floral print will set you aside from all others. 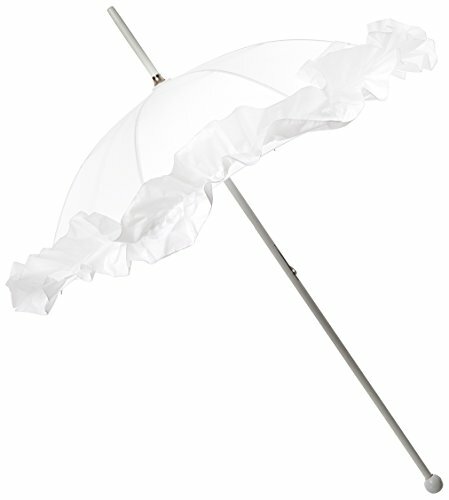 Forum Novelties White Parasol. 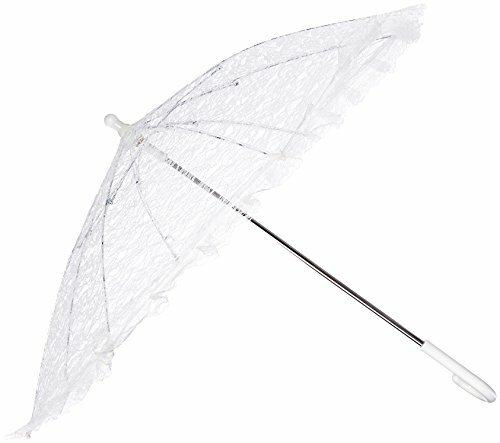 Top off your look with this retro style novelty parasol For more than 30 years, Forum Novelties has been a leader in the costume industry, as well as the joke, trick, magic, and novelty gift item business. Forum offers over 8,000 items to choose from, ranging from baby costumes, to adult and plus-size costumes, to pet costumes. Look to Forum Novelties for all of your Halloween, luau, Christmas, Mardi Gras, and St. Patrick's day supplies. From funny to frightening, Forum has it all! 32 In. 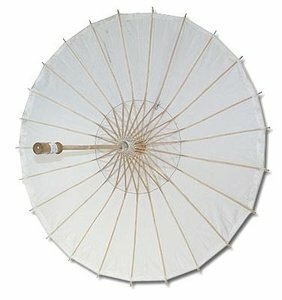 White Parasol Umbrella made from natural paper and bamboo, perfect for a summer wedding!